As the Master of Ceremonies for the event, Tanya Edmilao, Community Organizer at API Equality-LA and graduate of the 2013 Leadership Academy, welcomed attending friends and family and congratulated the graduating class. 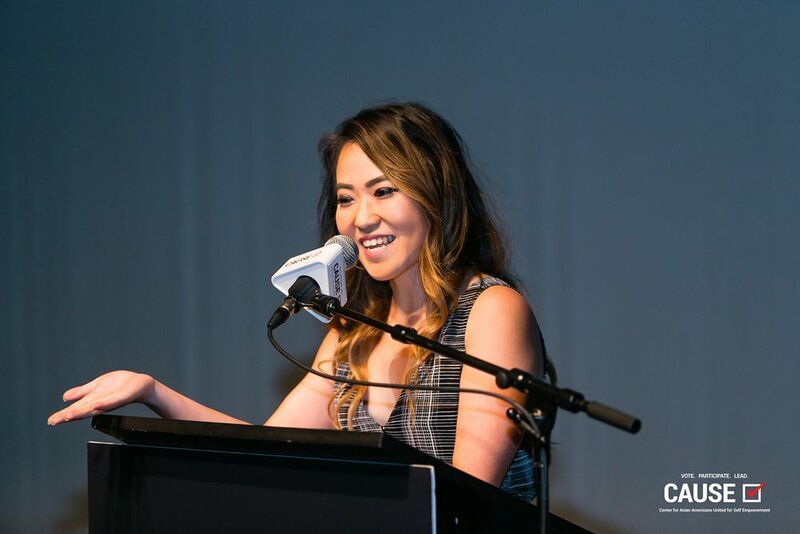 She recalled her time as a CLA intern and how transformative it was for her to connect with decision-makers in the APA community, and how the Leadership Academy program is continuing to provide these opportunities for young, emerging leaders. As the keynote speaker, John Kobara, Vice President & COO of California Community Foundation, encouraged the graduating cohort to use their experiences to identify and pursue what they’re truly passionate about. He said, “One of the things CAUSE is teaching you is to take the real you and become a public person…the question I want you to ask yourself is, ‘ What engaged you emotionally?’”. Afterwards, Andy Bui, Jenny Feng, and Benjamin Tran presented the cohort’s group project for the summer. 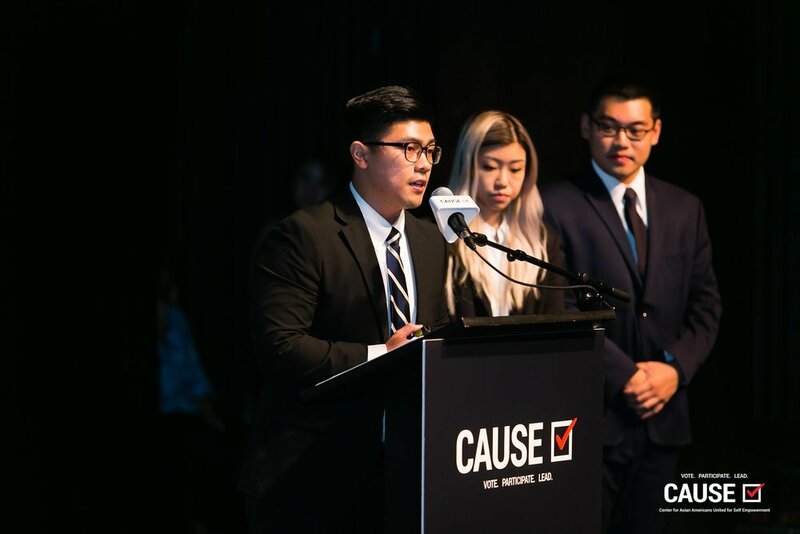 Together, the cohort worked closely together to write, film, and produce a “Get out the Vote” PSA, which was shot across different communities in Los Angeles and encouraged APA’s to vote. 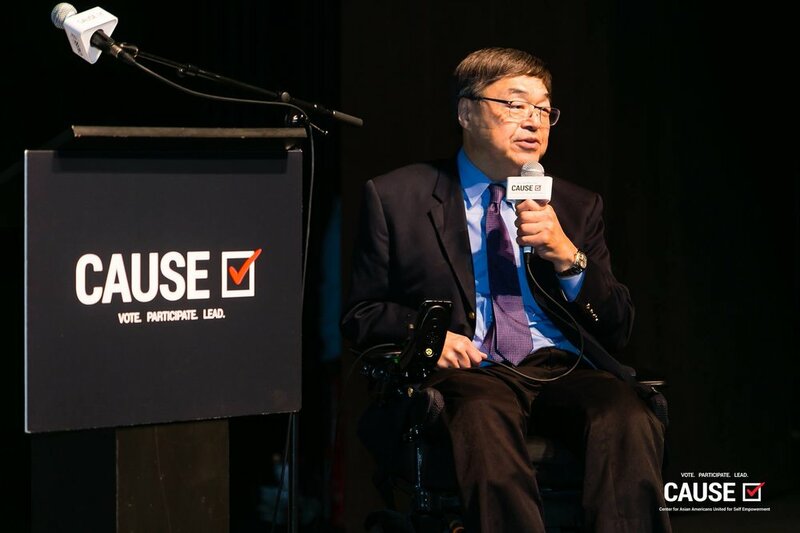 Next, CAUSE Board Chair, Charlie Woo, encouraged interns to take on challenges and rely on the support of past generations and their community. Lastly, each graduating intern was invited on stage and congratulated with a certificate of completion. We’re so honored and proud to have worked with such an inspiring cohort this summer and look forward to their future accomplishments!